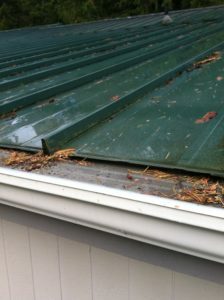 Those in need of gutter toppers for the gutters on their Seattle, Washington homes can end their search with GutterDome. Since 2010, we have been a leading manufacturer of gutter guard systems throughout North America, helping homeowners to safeguard their homes from damage to their foundation, fascia, walls and landscape if their gutters overflow. Additionally, both of these products can be installed in 4” – 5” and 6” – 7” sizes, so we are sure to have a product that will fit your gutters. We also back our products with a 30-Year Lifetime Material Warranty for additional peace of mind that your investment is protected. If you would like to have GutterDome gutter toppers installed at your Seattle, WA home, contact us today and we will be glad to direct you to an Authorized Dealer in your area.